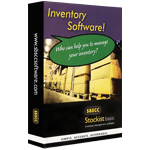 ​SBSCC MYBOS is a fully integrated white-labled mutlti-user/multi-language accounting software and business operating system for small businesses published by SBS Computer Consultancy (Pvt) Ltd.
SBSCC TSspeedbooster is the most cost-effective and easy-to-use alternative to Windows Terminal Services or Citrix. You can make any windows application a web-based application and it enables you to start a remote session from web browser, smartphone, linux, mac and windows desktop. TSspeedbooster server technology also can improve the performance of MYOB, Peachtree, Sage, QuickBooks, Tally, SAP and many other windows applications by up to 10 times faster and also allows these applications to access remotely anywhere. TSspeedbooster Enterprise Edition Includes (One .exe): TSspeedbooster System, Universal Printer, Web Access, Secure Web Tunnel, IPhone/iPad/Android Access & Server Gateway Portal. 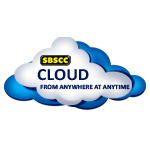 With SBSC Cloud Server you will receive long-term high performance access to your Windows Applications. You can install your windows applications on a secure enterprise class virtual private cloud computer and access it from anywhere at anytime. You can also print any documents to your local printer via Cloud Server. There are virtually no limits on how much power, space, memory and access you may need with SBS cloud computer. SBSCC Cloud Server (Plan 1): OS: Windows Server 2008 R2 64-bit; Memory: 2 GB; Storage: 30 GB; Processor: 1 vCPU; Bandwidth: Unmetered (FUP); File Transfer: Yes (FTP); Daily Backup: Yes (Bare-Metal); Connectivity: 1 Gbps Uplink; Remote Access: 03 Users (Desktop); Service Level: Managed; Install any Windows Applications.